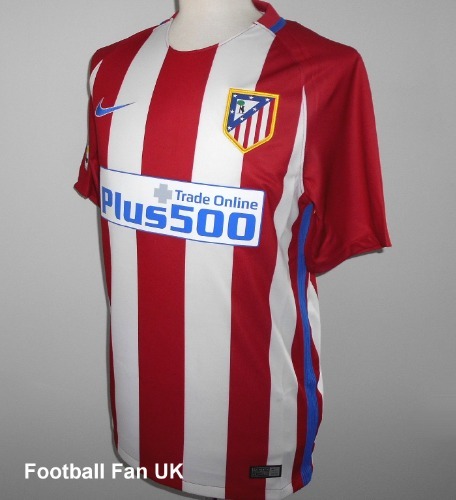 Official Nike Atletico Madrid home jersey for the 2016-2017 season which commemorates 50 years (and their final season) at the Estadio Vicente Calderon. On the pitch, the team finished 3rd in La Liga and reached the Champions League semi finals. New with tags in Nike packaging. - '1966-2016 Estadio Vicente Calderon 50 anniversario' printing inside neck. - Red and white stripes with blue trim. - Nike product code 808308-649.